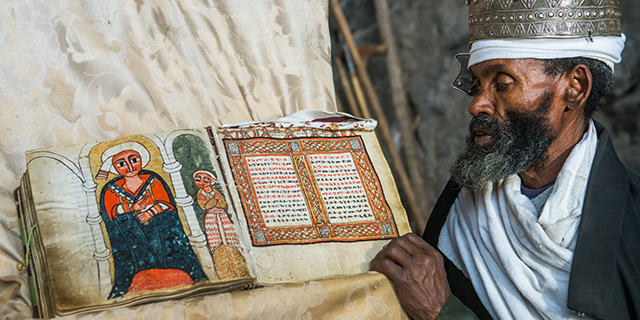 Ethiopia has the largest Orthodox Christian population outside Europe, and, by many measures, Orthodox Ethiopians have much higher levels of religious commitment than do Orthodox Christians in the faith's heartland of Central and Eastern Europe. The country in the Horn of Africa has 36 million Orthodox Christians, the world's second-largest Orthodox Christian population after Russia. Orthodox Christians do not make up a majority of Ethiopia's overall population: 43% of Ethiopians are Orthodox, while approximately 19% are Protestant and 35% are Muslim. 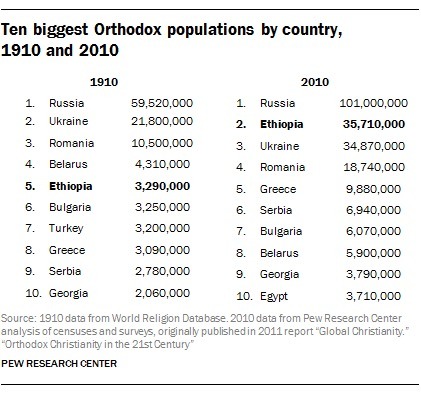 Still, in 2010, the 36 million Orthodox Christians in Ethiopia made up about 14% of the world's total Orthodox population (compared with a 76% share in Central and Eastern Europe), up from about 3 million in 1910, when Orthodox Ethiopians made up 3% of the Orthodox total. This increase is owed mainly to natural growth in Ethiopia's population, which rose from 9 million to 83 million between 1910 and 2010. 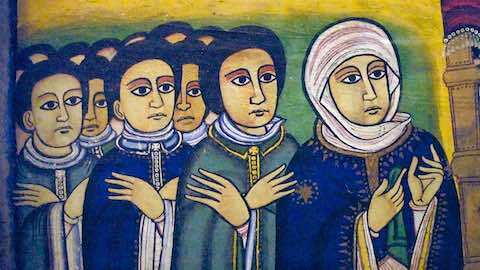 Africa - "Ethiopia Outlier in the Orthodox Christian World"